Duane Dailey of University of Missouri Extension put together this important information for reducing heat stress for cattle grazing tall fescue. Rain in July is normally good news for pastures. But if you’re grazing tall fescue, beware. Cool-season grasses usually go dormant in July, but rains this year kept grass growing. That means livestock farmers must be alert to heat stress added by toxins in the lush grass. 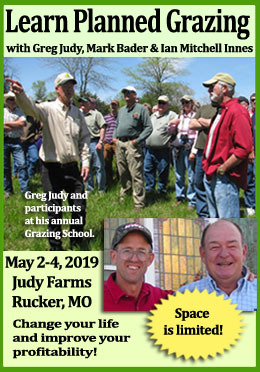 “In this heat, remove cattle from toxic tall fescue pastures,” says Craig Roberts, University of Missouri Extension forage specialist. “Get them onto nontoxic grass with shade and plenty of water. Lush Kentucky 31 fescue in summer looks good, but is toxic,” K-31 contains a fungus between plant cell walls creating ergovaline, a toxin. That is a vasoconstrictor that cuts blood flow to body extremities, which slows cooling. Heat-stressed cattle stop eating to seek shade or to stand in a pond. “Cattle try to cool down,” Roberts says. 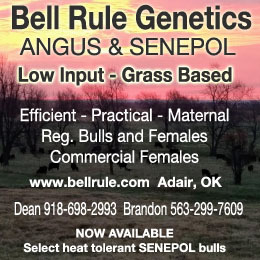 “That is good for the cattle, but it reduces feed intake and slows gains. We had our worst gains on calves when grazing toxic fescue in a hot, wet July. Those calves gained only one-third pound per day,” Roberts says of research at the MU Southwest Center, Mount Vernon. Calves on nontoxic grass gained three times as much. The problem becomes what to do with toxic fescue left standing. Roberts says, “It makes hay, not grazing.” Ergovaline breaks down when exposed to sun and air. “About a third of the toxin goes away in the first week after mowing. The toxin continues to fade in a stored bale, but at a slower rate. By winter feeding time, the toxin in hay will be lowered by about half,” says Roberts. Usually, paddocks are grazed down at this time of year, but this year, added rain has kept tall fescue growing. Roberts advises mowing and baling the grass and then fertilizing for fall regrowth. Existing growth must be removed by mid-August. That’s time to spread nitrogen to boost to fall growth. For the longest fall growing season, producers should apply fertilizer before the first fall rains arrive. 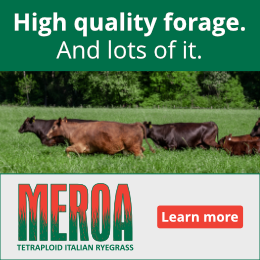 Stockpiled pasture can be grazed late into winter. Stockpile reduces the need for feeding baled hay to the herd in winter. One strategy is to graze the stockpile first while the baled hay continues to decline in toxicity. How Do I Handle My Hay Fields and Pastures in Severe Drought? I keep looking for a good way to positively identify K-31 fescue. Does anybody have a way to do that? I think we have some in some parts of the fields but I’m not sure.